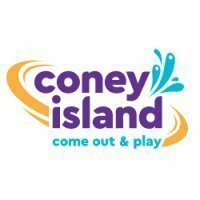 When Is Coney Island Cincinnati announcing 2016, the simple little gem of a park on the banks of the mighty Ohio, that never seems to close, but to regain steam. Sunlite pool always seems packed on hot summer days. A coaster addition would be nice but flood waters would present an issue. Coney would need build up some high footers to prevent water damage, and or damage from things drifting down the Ohio river. Well, for clarity, they are called footings. And yes, flood waters do pose an issue, but some of Coney`s other rides have withstood flood waters before. It is time that they added something over on the pool side. The last addition was Twister, added in 2009. The rides have received several new additions the last few years, including last years two new attractions (Top Spin and Fender Bender), which were new additions and did not replace anything (meaning there are now more rides at Coney then there were in 2014), and two more rides for me to have to staff and schedule employees for. I think a log flume at Coney would be a big hit. I am still personally hoping for a wooden coaster (which was strongly rumored several years ago). I personally think a Wild Mouse coaster would be a great fit for Coney as well, especially since there aren't any others anywhere near here to my knowledge (the only one I can think of is the one at Beech Bend). If they put one in, I'd go. And even though I've lived in the vicinity of Cincy most of my life, my only previous visits were for Fire up the Night. That was so crowded I could barely tell there were any rides. I'm spoiled by KI, but if Coney got a unique coaster for the area, I'd happily go. I've only been to Coney a few times when I was a kid to ride Python, but it would be really cool for them to put in another coaster. Another reason to go to Coney would that they have a unique collection of flat rides.